Each week Heartland College Sports will rank the men’s basketball team’s in the Big 12 Conference, based on play from Jan. 14-20. Thanks to last week’s Top 2 teams going 1-3 for the week, we’ve had some significant movement at the top. What a difference Dean Wade makes. Two weeks ago K-State was No. 7 in these rankings. Now they’re No. 1 due to a four-game winning streak, fueled in part by Wade’s return. This team now looks like a normal K-State team. No, they’re not that deep. But their improvement on offense and defense with Wade in the lineup is too big to ignore. 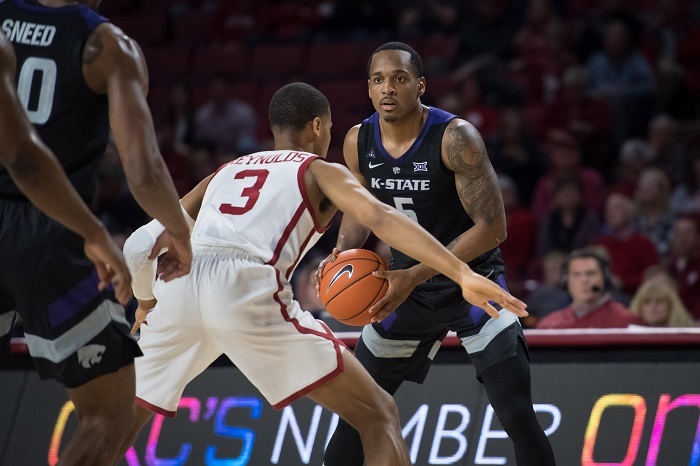 The Wildcats have also beaten two ranked teams in their last three games, and face another one in Texas Tech on Tuesday night. So we’ll find out real fast if this No. 1 ranking sticks. I’ve written previously that the Cyclones might be the deepest team in this league. Lindell Wigginton and Cameron Lard are still coming off the bench, and Lard is starting to produce in a way that’s efficient for the Cyclones. Marial Shayok is making Tony Bennett’s offensive system at Virginia look archaic the way he’s producing for the Cyclones (he transferred from Virginia just to show he could, you know, score). 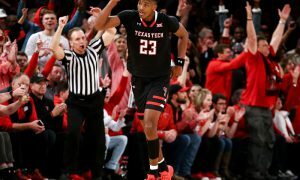 And the win over Texas Tech, on the road, is their second win over a ranked team in Big 12 action. But the key to staying here is consistent winning. 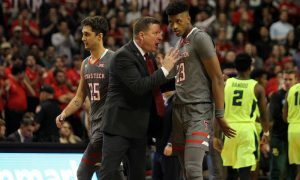 Had Texas Tech defeated Baylor on Saturday, I would have kept the Red Raiders ahead of the Cyclones, despite Iowa State’s win over Texas Tech earlier in the week. But a two-loss week deserves particular punishment. And for Texas Tech it was the little things that killed them this past week. 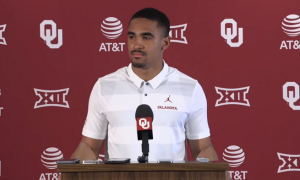 Against Iowa State it was putrid free-throw shooting. 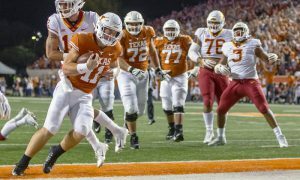 Against Baylor it was a litany of turnovers. 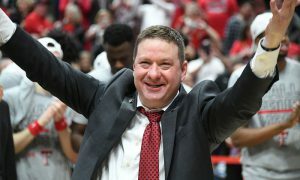 Those are things head coach Chris Beard can correct. But for a week the Red Raiders drop a couple of pegs. As I wrote in Good, Bad and Ugly I have concerns about Kansas right now, specifically depth after the starting five. And I though depth would be a real strength for this team. But after that loss to West Virginia — let me remind you WINLESS IN BIG 12 ACTION WEST VIRGINIA — on the road means the Jayhawks have to take a drop here. And don’t forget — they dodged a bullet against Texas at home earlier that week. Oklahoma needs to show me something this week to stay in the top half of these rankings. 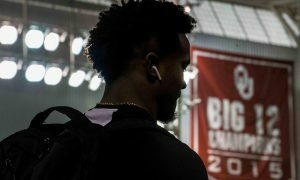 The Sooners have lost three of their last four. 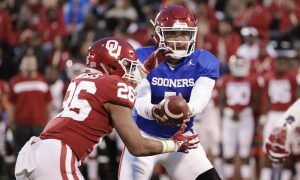 Winning on the road has been a real problem (0-3) for this team and they can cure that with a win at Oklahoma State this week. If not? Well, the Sooners may be falling further here next week. There isn’t much difference between Nos. 6, 7 and 8 this week. But Baylor had the undefeated week and head coach Scott Drew appears to have figured some things out in the wake of Tristan Clark’s injury. What keeps me from moving them up further is that I’m not convinced the Bears are a Top 5 team in the Big 12. But they’re starting to knock on the door. And if they kick it down King McClure will lead the charge. You have to give the Horned Frogs credit for the big win over West Virginia, their biggest win by margin in Big 12 history. But the road loss to Kansas State brings them down to earth a bit. There is some closure on Jaylen Fisher, who will not be back this season (and appears to be leaving the program entirely). But this team has more of an up-and-down nature that I thought it did a couple of weeks ago. 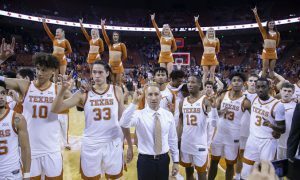 Speaking of up and down, the Longhorns lost by two to Kansas on the road and beat Oklahoma by three at home. Even with the one-spot drop, I think better things are ahead for these Longhorns. The growth by forward Jaxson Hayes is key to making that happen. I had to nudge the Mountaineers up a bit after the win over Kansas. To me, the key difference between No. 9 and No. 10 is depth. The Mountaineers have it. The team that now occupies No. 10 does not. Two losses this week for the Cowboys. Plus, three players dismissed from the team. The Cowboys have eight scholarship players, nine total and no help coming. The Cowboys have potential to occupy this spot the rest of the season.